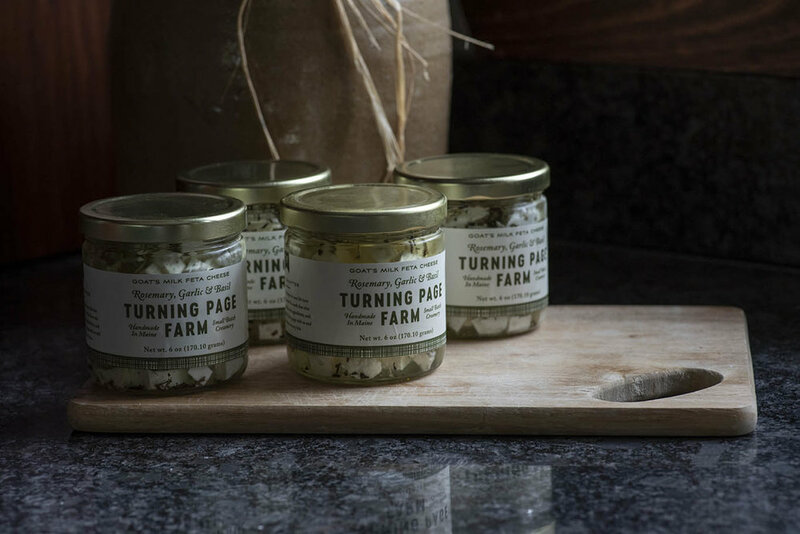 At Turning Page Farm, we lovingly make, raise and grow natural, artisanal produce. Our products currently include goats cheese, goat milk soaps & salad dressing. We also raise and sell Guernsey goats & heritage breed Tamworth pigs. My passion for cheese was fueled during the seven years we spent living in Europe for our corporate careers. We loved to travel and visit new countries and a day of sightseeing often ended with us nibbling on a plate of local specialty cheese. Not only did we create many happy memories that infused all our senses but we gained clarity on the cheeses I wanted to produce on our own goat farm. I could never have imagined that our move to Europe would lead to us living this dream life owning our own goat dairy in the forests of central Maine. Our goat milk soap is the perfect combination of simple and luxurious. We do not add any artificial colors or artificial fragrances to our bars. We developed a formula that has a luxurious lasting lather that is also optimized into leave your skin feeling silky smooth. Our soaps are scented with only essential oils which are all natural and plant based, which give them a mild scent that will not overpower or smell artificial. Our soaps are also cured for a minimum of 6 weeks which ensures we have the best quality hard bars that will last.